Fayonagh, last season's sensational Champion Bumper winner, has suffered a fatal injury on the gallops on Wednesday morning. Gordon Elliott wrote in his Betfair column: "I'm devastated to announce that Fayonagh broke a hind leg this morning while doing a routine piece of work under Davy Russell at Skyrne gallops and had to be put-down." Absolutely horrendous news this morning that Fayonagh has suffered a fatal injury. Condolences to all the team @gelliott_racing,. 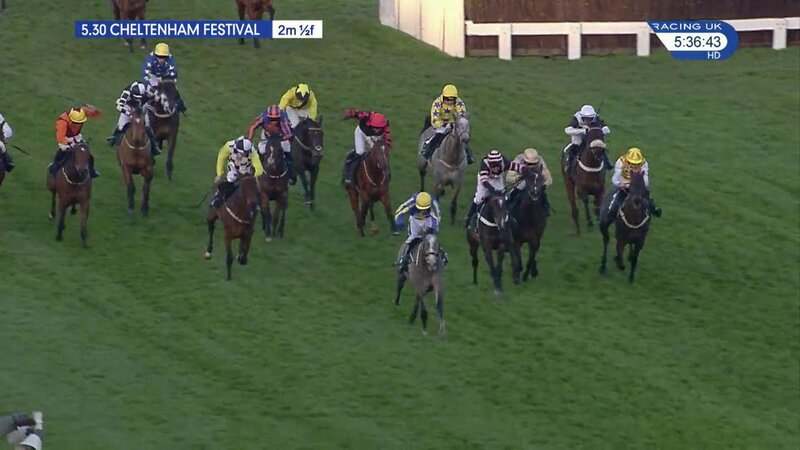 She was one of the success stories of last season, which culminated with a stunning last-to-first victory in the Champion Bumper, having looked out of contention as they turned for home, and she had duly kicked off her new campaign over hurdles with a facile win, and was a clear favourite for the 2018 Mares' Novice Hurdle. Elliott added in his column: "As a dual grade one winning mare she was an exceptional talent and the sky was the limit with her. Needless to say, we are all heartbroken and our thoughts are with the connections at this time. RIP Fayonagh - Champion Bumper winner. Six runs - five wins.